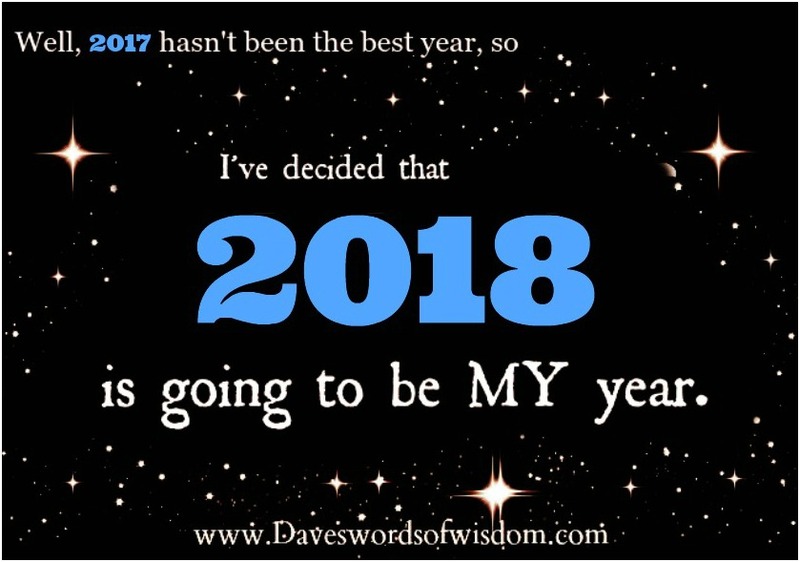 Daveswordsofwisdom.com: 2018 is going to be my year. 2018 is going to be my year. I've decided that 2018 is going to be my year. 2017 has been a very difficult year, however no matter how things may have been this past year, look forward to the start of 2018 with positivity, optimism and belief that the coming new year will be one to remember. I hope 2018 brings all you could have wished for and more.